Amino 2700of Universalis a high quality formula of amino acids with maintained release that contains amino acids in the L and peptides forms. Amino 2700contain a complete spectrum of essential, nonessential and conditionally essential amino acids. Our amino acids are derived from whey protein Concentrate (WPC) and whey protein hydrolyze (WPH) that amake possible a fast assimilation in the muscular tissue. Eachtablet of Amino 2700is loaded with more than 2000 mg. of amino acids, and when it is taken before each food, it becomes an ideal supplement to increase the consumption of amino acids during the day. The hydrolyzes of the whey protein produce some of the amino acids with peptides connections with the most high quality available. 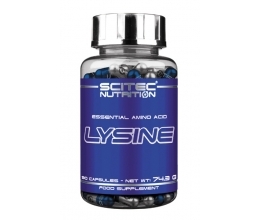 The studies demonstrate that the di and tri-peptides are better assimilated and more used by the muscle that is working than the aminos free or the whole ones, intact proteins such as powder serum protein. Amino 2700provides to your muscles 2700 mgs. of hydrolyze of serum with peptide connection per tablet and they are enriched with digestive enzymes and B6 Vitamin. When it is about to fill your muscular pipe with valuable aminos to start the protein synthesis, to reduce the catabolism, and to improve the retention of nitrogen, Amino 2700is the solution.